You faced some problem while weaning your little one and you really want to stop your child from becoming a fussy eater? Then you will surely love bunch of advices we have found in order to help your baby finally be adventurous with any kind of food. If you offer your little one something new, he might not eat it. Perhaps he has few favourite foods and he is not keen to try anything new and you should definitely solve this problem. Any parent wants his child to enjoy a variety of foods and also, having a fussy eater in any family would not be the easiest task to cope with. After all, you should know that babies are just like everyone else. They have their favourite foods and they also have things they just honestly do not like at all. But also, it is truly common to refuse new food for the babies and it is just because it is new and different, perhaps even a little scary. The point is you are doing the right thing by offering your child a wide variety of foods. Just because he has already found his favourite foods, it does not mean he should not try new things. Be sure to try offering your baby exciting new foods of different colours, shapes and textures. This way he will get used to trying new things. Of course, you should keep little one’s portions small. It will be less daunting and you will always be able to offer them second portion if baby wants more. To be honest, it is very useful to sit with your child and eat the foods you would like them to eat. Eating together as a family is beneficial for bonding and it will surely help your baby know what happens at those mealtimes. You can grab some food with friends too. Most of the babies are very interested in what other babies are eating too. It can be extremely frustrating when your child refuses to eat, but stay still and do not worry if they spits something out or even refuses to try. Just be sure to take that food away and try it again later, perhaps on the other day. By the way, you should be aware of the fact, that the older little one will get, the longer he will take to learn how to like new foods. Do not rush the meal. There are quite a lot of babies who like to eat slowly. You might feel as though time has stopped, but your little one is probably just having fun and learning all about the food he is eating. Encourage your baby to feed themselves too. It does not matter if it will get extremely messy, it will only mean he is finding eating fun. The secret is to keep calm and keep experimenting, and eventually your child will start welcoming those great new flavours and textures. 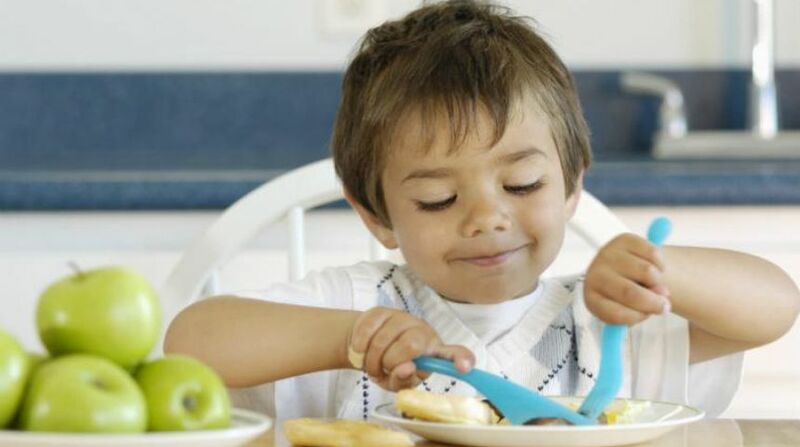 Having fun while weaning and being adventurous is the main key of success to grow a not fussy eater in the family. Just make sure you both are having the time of your lives and after few years you will be able to laugh at those extremely messy moments.